My place is close to public transport, shopping, the airport (between 2), and parks. 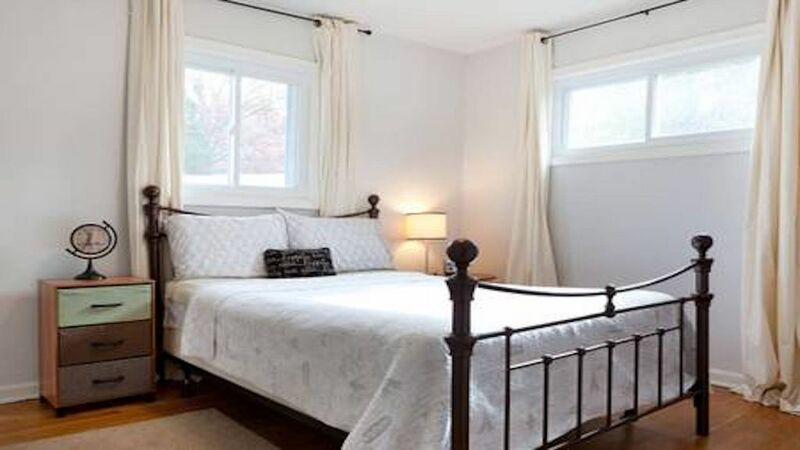 You’ll love my place because of the comfy bed, the kitchen, the coziness, the quiet, the patio and the hard wood floors.. My place is good for couples, solo adventurers, business travelers, families (with kids), big groups, and furry friends (PETS ARE ALLOWED). I'm on site during your stay in a separate apartment. I love to socialize but it's your vacation, so I believe you have enough on your plate. But since I'm so close, I'm easy to ask questions of and also to get all the local information, too. We are super close to UMD (University of Maryland), so it's perfect for parents and prospective students checking out the local universities (Bowie State, Georgetown, American, GWU, UMD, even Johns Hopkins is nearby since its just over in Baltimore). We fell in love with this house with the neighborhood and it's proximity to UMD. sheets, blankets and comforters for every bed including twin rollaways, crib and sleeper sofa. off street enough for 4 vehicles. one per person on your reservation. Available when others have left them behind. antique drop leaf table to give you more room to roam. When not using it, fold it down and it's out of the way. Two living room chairs are available and can be added to the dining area to seat 8. Sadly, there are steps to get into the unit. It's not accessible. We are in the DC area close to all the attractions from the museums to Mt. Vernon and extremely accessible as we are right off of route 95 near MARC train and metro stations. We loved staying here! Kirsten was so wonderful to work with and she really made the property feel like home- not an easy task when traveling over the holidays! The house is super conveniently located- in a quiet neighborhood but just a street over from major shopping plazas, restaurants, and the highway. We would definitely stay here again! Kirsten was a wonderful host and her house was well stocked. She responded quickly to questions and gave great suggestions along with info about the area. Her house was situated well to pick up the Metro each morning for some sightseeing and then to come back and relax in the evenings. I definitely recommend! A great location for the Maryland football game. We walked the three miles to the stadium in less than an hour. Also a ten minute drive to the Metro so getting to DC was easy. Clean home. One bathroom is the only downside I can think of but we managed with six adults. Fenced yard so letting out the dogs was also easy. Very close to a park with trails for walking. Will likely be back when OSU plays the Terps again. Yeah, so glad it worked out. I should have told you to drive partway, there's parking within a mile of the stadium and I have the handy portable grill for tailgating! It was great meeting you all and despite being a Marylander now, yeah Buckeyes! We were very happy staying at Kirsten's house! Clean, bright and very comfortable. Our stay was too short and I would definitely do this again. Thanks Kirsten! Awe, shucks, and it was lovely hosting you as well! I'm so glad it was a wonderful trip! Had a great stay and Kirsten was a great host! Sweet little place to stay. House was exactly as listed. Clean and very quiet. Kitchen was well equipped to cook in. Beds were very comfortable. Loved that the bathroom shower had plenty of water pressure. We would for sure stay again.